Choose a mower that’s rugged enough for demanding work. 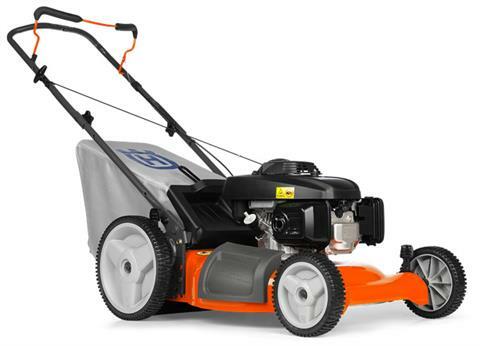 The Husqvarna 7021P is an efficient push mower that features a compact design and high rear wheels, making it easy to maneuver in tight spaces. The soft grip handle improves comfort and folds back for easy storage and transportation. Choose from three cutting modes, including bagging, mulching and side discharge. Mowing Height Range 1.25 - 3.42 in.